Copies of all records of communications between Education Secretary Betsy DeVos and representatives of Michigan State University, including former President Lou Anna Simon, since her confirmation on February 7, 2017. All communications between Secretary DeVos and Michigan State University officials regarding the Department of Education’s investigation into the university’s handling of sexual assault cases under Title IX. Any communications between Secretary DeVos and Michigan State University officials regarding former USA Gymnastics doctor Larry Nassar as well as communications regarding investigations of sexual assaults by university basketball and football players. Recent news reports have focused on Michigan State University’s role in the Larry Nassar scandal and its failure to respond to reports that he was sexually abusing his patients at the university and USA Gymnastics for nearly twenty years. In recent weeks, ESPN reported that Michigan State had been under federal investigation for mishandling allegations of on-campus sexual assaults, and that there had been several allegations made against players in the university’s football and basketball programs. Michigan State reportedly also withheld information regarding the university’s Title IX and campus police investigations of Dr. Nassar and did not turn over all documentation from the case to federal officials. ESPN also reported that in the fall of 2017 a Michigan State official had asked the OCR to drop its monitoring of the school, arguing that it had fully complied with the department’s agreement, however the request was denied. A reporter for the sports blog Deadspin also reported that Secretary DeVos met with President Simon in September 2017 just two days before the Department rolled back Title IX regulations that dealt with reporting of sexual assaults. Secretary DeVos is a native of Michigan and has strong ties to the education community in the state. Last September, Michigan State unveiled a major new medical research facility in Secretary DeVos’ hometown of Grand Rapids, thanks in part to a generous $10 million gift from the DeVos family. The Department of Education announced it has opened an investigation into Michigan State’s handling of the Nasser scandal. The requested documents will reveal the extent to which Michigan State officials were pushing the Department of Education to drop its investigations and monitoring activities of the school. They will also reveal if Secretary DeVos’ personal connections to the university played a part in her decision to alter the Title IX rules governing on-campus sexual misconduct. 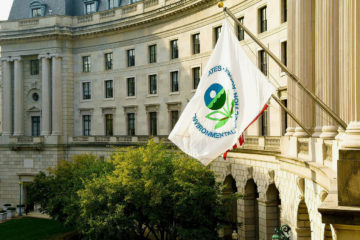 The requested records will help evaluate the extent to which the FOIA process at EPA has been coopted by political forces. 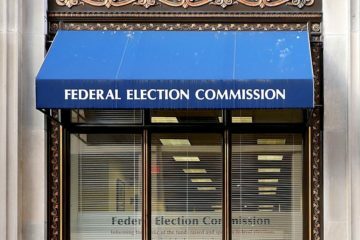 CREW requests the full record of the FEC’s actions in response to the CREW v. FEC decision, as well as the appeal recommendation of the FEC’s general counsel. 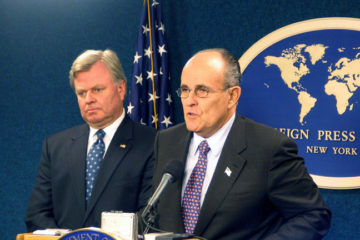 The requested records would reveal whether FBI agents and employees violated federal law by disclosing information to Rudolph Giuliani.